I have several images just waiting to be processed. Don’t ask how many tutorial videos I have as I am even more backed up with those! Last July I was in Long Island City in Queens New York City to shoot what’s called Manhattanhenge. Tonight I remembered I shot a panoramic and decided to work on it. It took a bit longer than I anticipated as it totally choked my computer. The oh s***t moment happened when I went to see if it was possible (as sometimes if you don’t shoot a panoramic image correctly there’ll be tons of distortion and it won’t be worth doing). But when I saw the preview I knew I was onto something! If you’re wondering the image is composed of 6 photos. I had to use Photoshop to touch it up a bit (to remove the lights from planes and a few stars) and this is where my computer choked! I don’t have a supped up computer – but it’s times like this when I wish I did. WAIT is a four letter word and it was a bit frustrating. 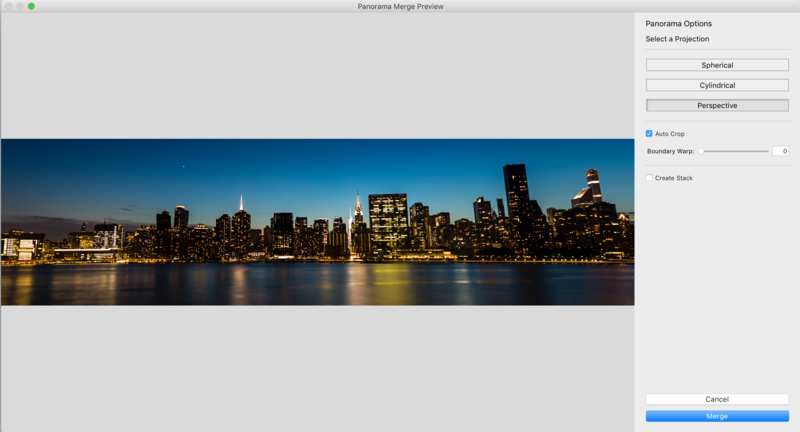 After the edits in Photoshop the final image size was a whopping 299 inches by 76 inches! No wonder my computer was frozen! As for the file size of the Photoshop file it comes in weighing at 610 gigabytes! And as for the JPEG file it comes in at a measly 46 megabytes. Before the end of the year I’ll create a video tutorial so I can show you guys how it’s done. But for now I hope you enjoyed the final result!